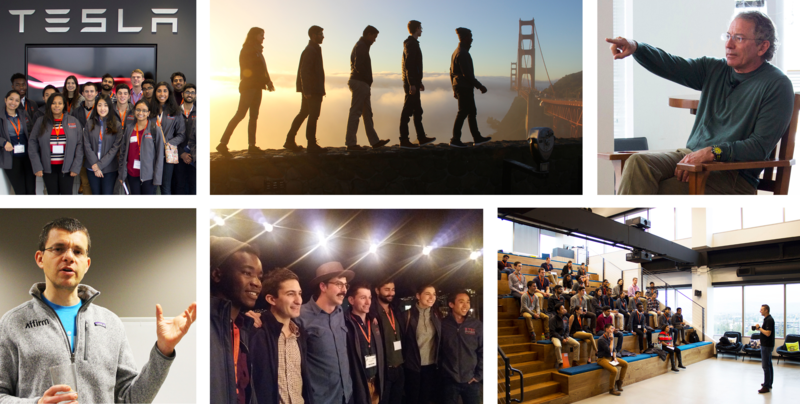 The Technology Entrepreneur Center and the College of Engineering annually sends a select group of students to Silicon Valley during winter break for a 5-day technology entrepreneurship workshop that includes visits to startups and leading technology companies. The Silicon Valley Workshop exposes students to technology entrepreneurship, innovation, and leadership, and continues to build an entrepreneurial community at Illinois. Students come back to campus inspired and ready to bring back the skills and knowledge they learned to the Illinois community. The trip features corporate leaders, venture capitalists, and entrepreneurs in various stages of a startup lifecycle. Students also have opportunities to network with prominent entrepreneurial Illinois alumni. Applications are now closed for the January 2019 trip. Students must be full-time, on-campus students for the full academic year (August 2018-May 2019). TEC reserves the right to accept applications after the deadline should all available spaces not fill by that time. Cost for students to attend is $650 per student. This includes your accommodations, airfare and most meals.